Australian made and owned company, supporting local business. Buying quality made, long lasting products helps reduce mass manufacturing and excess landfill waste. Screen printed and sewn by hand. Inspired by a walk in the Adelaide Hills. Unique line drawing of the native flora. Features a YYK brass zipper. All fabrics and materials sourced in Australia. W 21cm x H 13cm. 55% hemp/45% organic cotton, 100% cotton lining, brass zip. 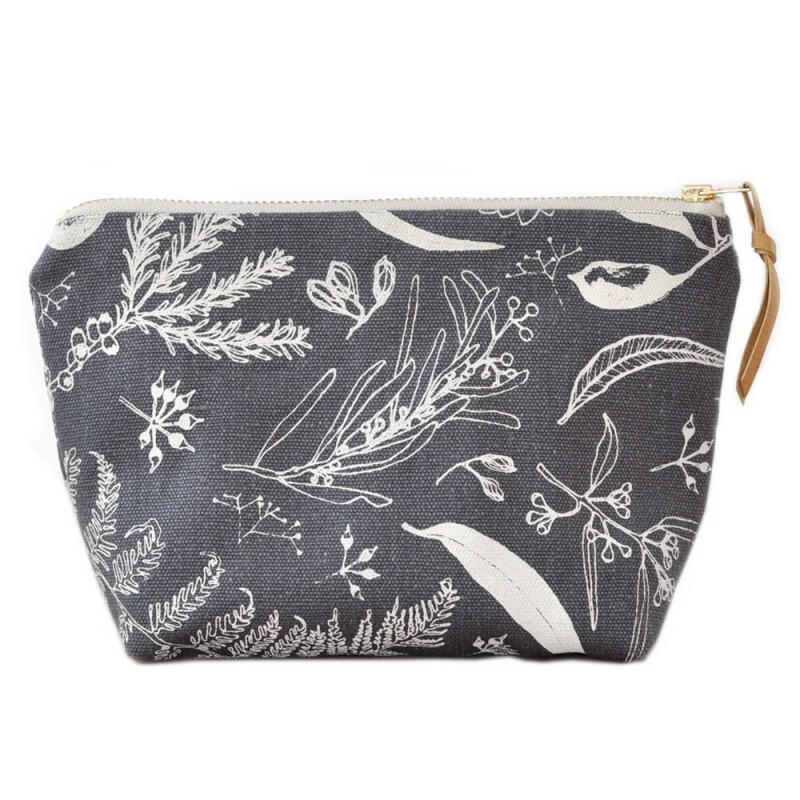 *Please note, Biome is leather-free and therefore this pouch does not include tab pictured on zip. Browse our other Australian gifts.